Every flight has a destination and every pilot has a story to tell. We, the members of the Air Navigation team, are thrilled to read about them and learn more about our app users. We want to share pilot experiences and highlights so that we reach out to other aviation personnel and inspire them to continue all the good work they do. Today, we are happy to feature Patrick Cotter, Pazza18 in Instagram. He is a 26-year-old pilot that works in Skydive Taupo from Taupo, New Zealand. I’ve always wanted to fly since I was around seven years old, now that I’m doing it as my day job it’s a dream come true! Flying definitely frees the mind yet also makes you feel like you can go anywhere, anytime. I was recommended it by a friend around six years ago. At the time, it was the only app that had New Zealand VNC charts available which was the big stand out for me. Q: What are the best things you like about our app? Ease of use has to be the biggest positive of the app. I picked it up and could work out how to use the app without any prompting in around five minutes and have seen others do the same. Competition apps certainly aren’t anywhere near as intuitive. Clarity of display is another excellent feature. Bright colors for the charts and customization to allow de-cluttering of the map to the appropriate level of detail for your flight. Insertable flight plans is an excellent feature, previous to skydive flying I was a survey pilot and flew GPS survey transects off my iPad running AirNav and it worked perfectly. International support is excellent as well, I have used the app flying overseas and it provides the same experience in all countries that are supported as what I have come to expect while flying in NZ. The massive increase in situational awareness is the key to the app though, it’s an excellent navigation tool and provides peace of mind in the event of things not going to plan or unexpected changes while airborne. I’ve tried Brand X and found it to be far more confusing and less user orientated that AirNav. It’s user interface is far less intuitive and is more geared specifically towards Australian operations as many of its features aren’t available in other countries. I’ve also had a go with Brand Y on the ground and found it to be even worse in the exact same ways as Brand X to the point I haven’t tried flying with it. Q: Can you please tell me a story of the best times you have had with our app? I’ve had many good times with the app, and it has also helped me out of some tight corners in my flying career to date. Some of the best times I've had using AirNavPro have been when it has proven to be a reliable back up on commercial operations, allowing for a flight to be completed when otherwise it would've been aborted or additional time taken which would reduce the productivity of the flight. When the handheld GPS overheated on a survey flight, AirNavPro allowed us to continue the flight with a flight plan overlay over VNC charts. From then on, I switched completely to using AirNavPro as the primary navigation source for my survey flying. Also when I first got into skydive flying, the aircraft I flew had battery powered GPS units that failed on multiple occasions. More than once I transitioned over to AirNavPro for running the spot using the OBS function which provided identical accuracy to our regular systems. To anyone that hasn't used AirNavPro, you're definitely missing out! If you're new to flying, first make sure you're confident with dead reckoning, map reading and traditional means of navigation. Then increase your toolbox of skills with AirNavPro, you'll be amazed at the increase in your situational awareness is as well as the ability to stay ahead of the aircraft easier. 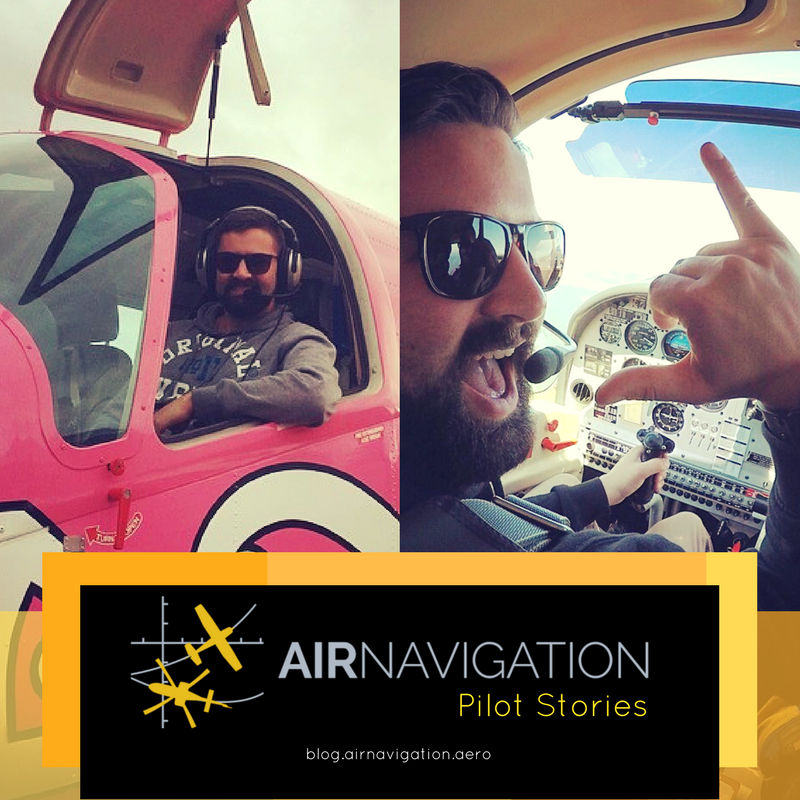 To anyone who is an experienced pilot and is looking at getting a navigation app, AirNavPro is an easy to use option that offers many features to cater to your flying needs. Thank you so much for your stories, Patrick! To know more about him, you can follow his Instagram. The interview is in full English, other apps mentioned have been changed to brand X, brand Y etc.